Social scientists have focused on social interactions in urban areas because cities bring together many cultural strands. Urban areas impact individuals’ relationships with one another. Economic problems and power dynamics are intensified in small spatial areas in which resources are scarce due to dense populations. Social scientists seek to understand how metropolitan social dynamics are distinct from those in other contexts. German sociologist Georg Simmel was a founding father of this sociological subfield. He gave a speech that analyzed the effects of urbanity on the mind of the individual, arguing that urban life irreversibly transforms one’s mind. Social scientists ask two sets of questions about social life in urban areas. The first set asks how social interactions are shaped by urban environments, and the other asks more pointed questions about how the architecture and physical space of a city influence social interactions. sociology of space: The sociology of space is a sub-discipline of sociology that is concerned with the spatiality of society. It examines the constitution of spaces through action, as well as the dependence of action on spatial structures. sociology of architecture: Sociology of architecture is a term that describes the sociological study of either the built environment or the role and occupation of architects in modern societies. urban ecology model: In the urban ecology model, the social scientist considers how individuals interact with others in their urban community. Around half of the world’s population currently lives in an urban area, and the United Nations World Urbanization Prospects Report suggests that 60% of the world’s population will live in an urban area by the year 2030. As such, social scientists have paid increasing attention to the particular types of social dynamics that develop in urban environments. Social scientists have focused on social interactions in urban areas because cities have the unique capacity to bring together many cultural strands. Economic problems and power dynamics are intensified in small spatial areas in which resources are scarce due to dense populations. Further, cities operate as zones of confluence for economic relationships and other types of diversity as new ideas, people, and goods are constantly flowing through urban areas. As a result, the people there have to respond to new influences, often bringing dominant strains of culture to the fore. What does a particular group of people value? What can they tolerate? What do they revolt against? All of these questions play out in cities. 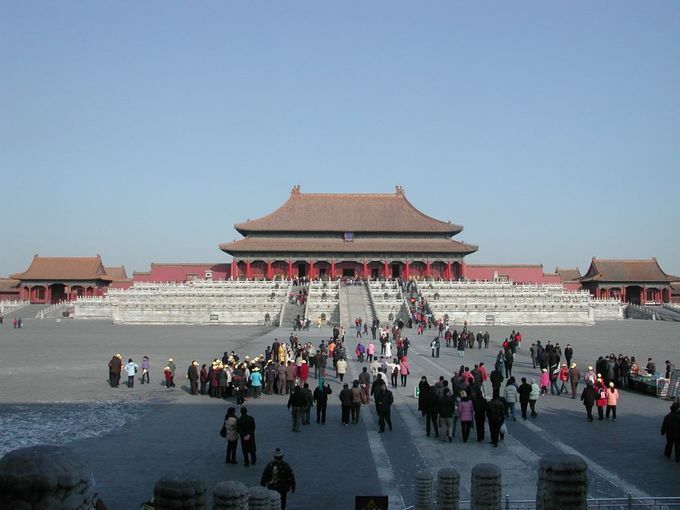 Urban Social Life: In cities, such as Beijing, people are exposed to large populations of unfamiliar faces, including transient visitors. This changes one’s orientation to the urban community. Urban anthropology is an anthropological subfield primarily concerned with urbanization, poverty, and the consequences of neoliberalism, or the contemporary political movement that advocates economic liberalization, free trade, free movement, and open markets. There are four central approaches to an anthropological study of cities. The first is an urban ecology model in which the social scientist considers how individuals interact with others in their urban community. Second, one could focus on power and knowledge, specifically how these elements are combined in the development of urban structures. Third, one can study how localities relate to communities beyond their bounds, such as an analysis of the relationship between the local and the global. Finally, one can consider how political economy, or the study of production, law, and distribution, is essential to a city’s infrastructure and the consequences of this interdependence. These questions have been closely examined in urban contexts in the past fifty years. Despite the relatively recent ascent of urban sociology, sociologists have long studied the sociological implications of space. Georg Simmel, a German sociologist from the turn of the twentieth century, famously considered the social impact of urban environments in The Metropolis and Mental Life. Published in 1903, this work was originally given as one of a series of lectures on all aspects of city life by experts in various fields, ranging from science to religion to art. Simmel was originally asked to lecture on the role of intellectual life in Berlin, but he effectively reversed the topic in order to analyze the effects of urbanity on the mind of the individual. Simmel argues that urban life irreversibly transforms one’s mind. Simmel does not say that these changes are negative, but writes that structural forces on socialization are particularly strong in an urban milieu. Social scientists thus ask two sets of questions about social life in urban areas. The first set asks how social interactions are shaped by urban environments and how social interactions in urban environments are distinct from social interactions in other contexts. These are the types of questions asked by Simmel and urban anthropologists. The other strand of analysis asks more pointed questions about how the architecture and physical space of a city influence social interactions. This second set of questions is taken up by urban planners, architects, and, in the social sciences, by individuals who study the sociology of architecture and the sociology of space. Clearly, questions about social interactions in urban areas cluster loosely and are quite broad. However, it is clear that social dynamics are influenced by urbanity and sociologists intentionally study this field in broad terms to understand the multifaceted ways in which urban life influences society. Neighborhoods are small units of social organization within a larger social area, such as a city or town. Neighborhoods have historically existed in every large urban area. Neighborhood action tends to quickly produce visible results, particularly when compared to larger social units. Because neighborhood action involves interaction with others, such actions create stronger social ties among those inhabiting the area. Neighbors socialize one another through significant numbers of face-to-face interactions. The tendency of members of a neighborhood to share voting patterns and other views is called the neighborhood effect. In Canada and the United States, neighborhoods are often given official or semi-official status through neighborhood associations, neighborhood watches, or block watches. neighborhood effect: Individuals in neighborhoods tend to vote similarly. Social ties: Because neighborhood action involves others, such actions create stronger social ties amongst those inhabiting the area. A neighborhood is a geographically localized community within a larger city, town, or suburb. Neighborhoods are often social communities with considerable face-to-face interactions among members. While neighborhoods have expanded with industrialization and the development of even larger urban areas, neighborhoods have always existed. Archaeologists have demonstrated through excavations that pre-industrial urban areas contained neighborhoods. As is true in the present day, neighborhoods were historically generated by social interaction among people living near one another. They are extremely localized social units only a step above a household and not directly under government control. In this sense, neighborhoods are usually informal, rather than pre-planned by government agencies. In some pre-industrial urban traditions, basic municipal functions, such as protection, social regulation of births and marriages, cleaning, and upkeep were handled informally by neighborhoods rather than by urban governments. As is still commonly the case, neighborhoods in pre-industrial cities often had some degree of social specialization or differentiation. Ethnic neighborhoods were important in past cities and remain common in cities today. 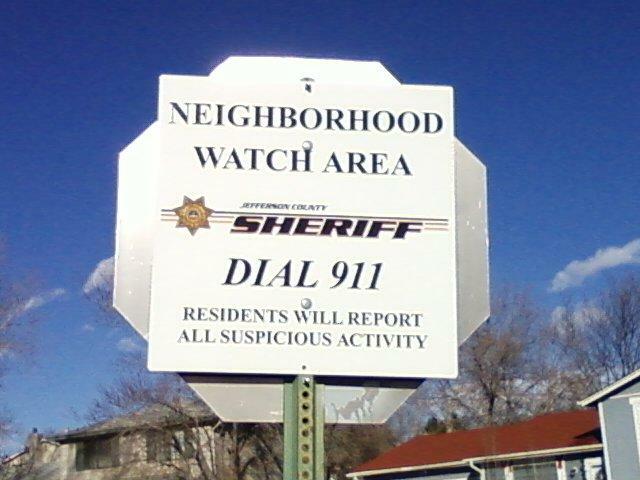 Neighborhood Watch: Neighborhood watches are one form of semi-formal neighborhood associations that contribute to the regulation of crime in an area that is not an independent political unit. Neighborhood watch associations function under citywide police and have no legal authority as crime enforcement officers. Sociologists are interested in neighborhoods as small, localized social, economic, and political units. Neighborhoods are close to universal, as most people in urbanized areas would consider themselves to be living in one. Neighborhood action tends to quickly produce visible results, particularly when compared to larger social units. Because neighborhood action involves frequent interaction with others, such actions create stronger social ties among those inhabiting the area. In Canada and the United States, neighborhoods are often given official or semi-official status through neighborhood associations, neighborhood watches, or block watches. These may regulate such domestic matters as lawn care and fence height and provide other social services such as block parties, neighborhood parks, and community security. Though neighborhoods are less strictly regulated by government officials, this is not to say that neighborhoods lack political power. Indeed, sociologists and political scientists have found that individuals in neighborhoods tend to vote similarly in what is referred to as the neighborhood effect. The voting preference of a neighborhood tends to be formed by consensus, where people tend to vote with the general trend the neighborhood. Of course, this is not to imply pure causation, but rather than individuals with similar voting preferences choose to live in the same area. Socialization within neighborhoods is quite significant, particularly when this form of socialization involves significant face-to-face interactions with one’s neighbors. Urban decline is the process whereby a previously functioning city or neighborhood falls into disrepair. It is often caused by a decline in the economic opportunities available in a particular city. The issues associated with the modern iteration of urban decline began during the Industrial Revolution, when many people moved to cities looking for industrial work, and then fell into poverty with economic changes and deindustrialization. Deindustrialization is the process of social and economic change caused by the removal or reduction of industrial capacity in a region that is known for its manufacturing industry. New Urbanism seeks to combat the economic and architectural problems associated with urban decline. In the United States, early government policies included “urban renewal” and the construction of large-scale housing projects for the poor. deindustrialization: The loss or deprivation of industrial capacity or strength. blight: Anything that impedes growth or development, or spoils any other aspect of life. Urban decline is the process whereby a previously functioning city or neighborhood falls into disrepair and decrepitude. Features of urban decline include deindustrialization, depopulation, economic restructuring, abandoned buildings, high unemployment, fragmented families, political disenfranchisement, crime, and a desolate landscape. Since the 1970s and 1980s, urban decline has been associated with Western cities having experienced institutional restructuring. In many countries outside of the West, urban decline manifests as peripheral slums at the outskirts of cities. In contrast, in North American and British cities, the impoverished areas begin to develop in the city center as individuals relocate their residences to suburban areas outside of the city. This process is frequently called white flight, in reference to the fact that the central urban areas usually remain inhabited by minority populations when white populations leave. Another characteristic of urban decay is blight, the visual, psychological, and physical effects of living daily life among empty lots, abandoned buildings, and condemned houses. Such desolate properties are socially dangerous to the community because they attract criminals and gangs, increasing the volume of crime. But what causes urban decay? Though scholars can identify factors that contribute to urban decline, it is notoriously difficult to explain precisely why one urban area slips into decline and another with similar circumstances does not. That being said, urban decline results from some combination of socioeconomic decisions, such as the city’s urban planning decisions, the poverty of the local populace, the construction of urban infrastructure (such as freeways, roads, and other elements of transportation), and the depopulation of peripheral lands by suburbanization. 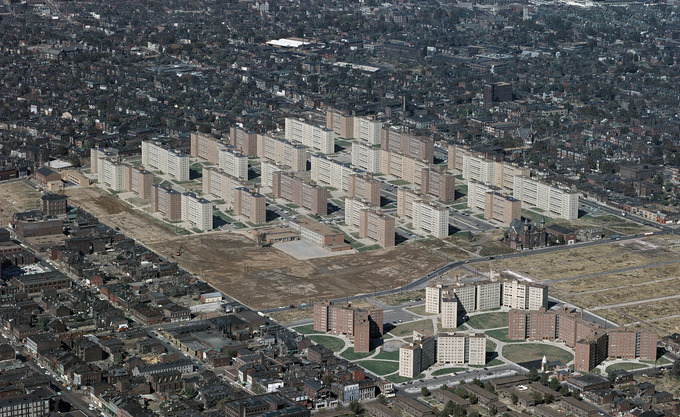 Pruitt-Igoe Housing Development Decay: The Pruitt-Igoe housing projects in St. Louis were built under a policy of urban renewal intended to provide affordable housing, but soon turned into a site of urban blight. They have since been demolished and the land is being redeveloped under a policy of New Urbanism. In some ways, urban decline is an inevitable result of urbanity itself. Cities tend to grow because of momentary economic booms. These economic successes can either evolve and sustain themselves, or contract. Economic decline tends to lead to urban decline. Given that economic fluctuations have such profound effects on urban development, it makes sense that issues associated with the modern iteration of urban decline began during the Industrial Revolution, the time period in the late eighteenth and early nineteenth century when rural people flocked to cities for employment in manufacturing. Overpopulation in very small spatial areas became a serious issue. While the individuals who worked in manufacturing positions frequently worked and lived in extremely poor conditions, the owners of the mills became rich quickly, bringing a striking influx of economic growth suddenly to cities. However, subsequent economic changes left many newly-grown cities economically vulnerable and marred with employment factors that contribute to urban decline. Changes in means of transport, from public to private—or specifically from public trains to private motor cars—eliminated some advantages of living and working in the city and enabled suburbanization. Following World War II, political decisions in the U.S. further solidified the already growing trend of suburbanization. Many cities used city taxes to build new infrastructure in remote, racially-restricted suburban towns. Historically in the U.S., the white middle class gradually left the cities for suburban areas because of the perceived higher crime rates and dangers caused by African-American migration to northern cities after World War I; this demonstrates so-called white flight. This trend became more permanent with the construction of the Interstate Highway System under President Dwight D. Eisenhower in the 1960s. Deindustrialization, or the process of social and economic change caused by the removal or reduction of industrial capacity in a region that is known for its manufacturing industry, is one of the main recent causes for urban decline in the United States. Deindustrialization is a main culprit in creating the economic conditions that contribute to urban decline by pushing jobs outside of the main urban area. An example of deindustrialization and urban decline in the United States is Detroit. After free-trade agreements were instituted with less developed nations in the 1980s and 1990s, Detroit-based auto manufacturers relocated their production facilities to other areas where wages and working standards (and therefore costs of operation) were lower. 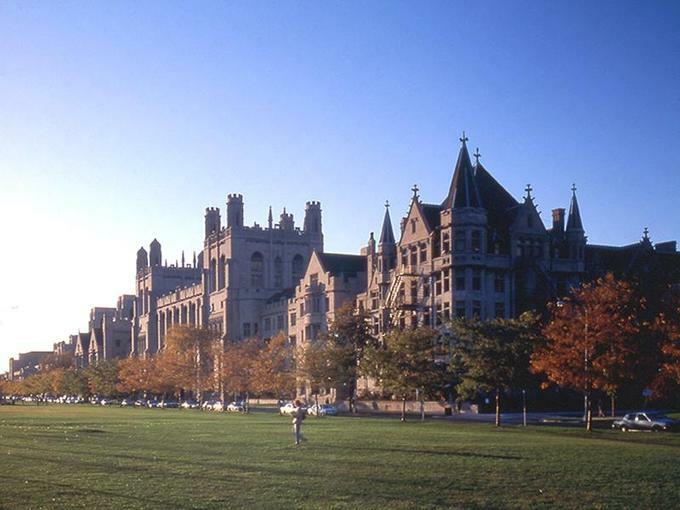 Detroit and other industrial towns, such as Cleveland, Pittsburgh, and St. Louis, were once centers of production and associated with high standards of living. Today, they are associated with a high concentration of poverty, unemployment, abandoned buildings and noticeable isolation. The current response to urban decay has been positive public policy and urban design using the principles of New Urbanism. New Urbanism is an urban design movement that promotes walkable neighborhoods that contain a range of housing and professional options. The movement came about in the U.S. in the 1980s and continues to have impact on urban planning. Homelessness is a social problem, caused by structural inequalities and lack of resources, where certain individuals are at higher risk. Those at a higher risk of becoming homeless include veterans, people suffering from substance abuse or mental disorders, and the unemployed. Homelessness is a problem intimately associated with urban areas and the resource limitations that exist because of a populous urban environment. Social factors also contribute to homelessness, especially economic downturns, deinstitutionalization, and lack of family support. As with veterans, many individuals with substance abuse problems and mental disorders have difficulty finding work. homelessness: The condition of a person or persons living without a regular dwelling. People who are homeless are most often unable to acquire and maintain regular, safe, and adequate housing. Medicaid: U.S. government system for providing medical assistance to persons unable to afford medical treatments. deinstitutionalization: The process of abolishing a practice that has been considered a norm. Homeless people are those who lack a regular, adequate residence. Although homeless people stereotypically live on the streets, many may spend some nights in shelters, transitional housing, or cars and makeshift dwellings. Homelessness is a social problem, due in large part to structural inequality and the maldistribution of resources. However, individual risk factors help explain why certain individuals become homeless instead of others. Those at a higher risk of becoming homeless include veterans, people suffering from substance abuse or mental disorders, and the unemployed. Homelessness in America: This video reviews statistics regarding homelessness in America, and is also an example of a non-profit organization’s attempt to educate the public about the issue of hopes of reducing the problem. Many veterans return from war with insufficient training to successfully navigate the job market or with skills that are not in demand in the civilian world. They may also suffer from chronic physical or psychological conditions sustained in combat that make regular employment difficult. The federal government provides services to help veterans transition to civilian life, but some still struggle and, unable to find a job or to reintegrate, end up homeless. Individuals with substance abuse problems and mental disorders represent a large number of the homeless. In the United States, 22 percent of the homeless have serious mental illnesses or are physically disabled, and 30 percent have substance abuse problems. Popular perception often blames the victim, suggesting these individuals are at fault for becoming homeless. 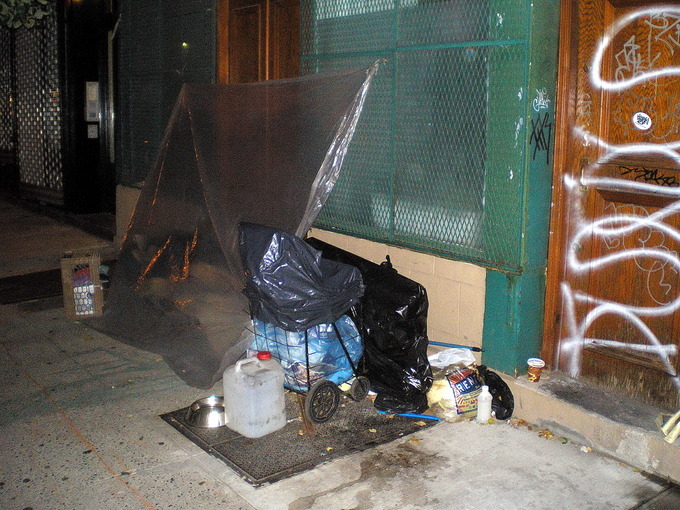 However, this perspective denies structural elements that contribute to both homelessness and substance abuse. Although most homeless people are single men, in tough economic times, families are at increased risk of homelessness due to unemployment. When unemployment rates increase, homelessness tends to increase, too. When markets crash, even families that appeared to be middle class may suddenly become homeless. In the United States, 23 percent of homeless people are families with children—the fastest growing segment of the homeless, due largely to the economic collapse in 2008. Economic downturns are one of many social factors that cause homelessness. Urbanization itself may contribute to the problem. Cities must sustain a large population in a small area, which puts pressure on resources. In the United States, 71 percent of the homeless reside in urban areas. 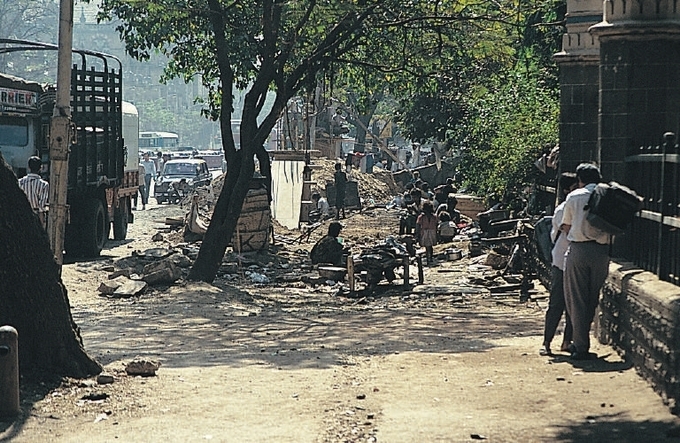 Street Dwellers in Mumbai: On the outskirts of large developing cities, it may be a fine line between living in a slum or as a homeless person, as neither group generally possesses legal rights to land or a permanent dwelling. Homeless people who suffer from substance abuse or mental illness often lack access to effective treatment options, a condition exacerbated by deinstitutionalization in the 1960s and 1970s. Prior to the 1960s, individuals with mental illness were frequently committed to long-term institutions, but deinstitutionalization closed these institutions in favor of community-based treatment. Unfortunately, many people released from these institutions had no place to go and wound up homeless. Family support can provide a buffer against homelessness; those who lack support are at increased risk. Over half of children who “age out” of social systems such as foster care find themselves homeless. Social stigma also contributes to homelessness. Teenagers who become homeless have often run away from home or been thrown out by their parents, frequently because of their sexual orientation. A 2010 study by the Center for American Progress revealed that 20 to 40 percent of homeless youth identify as LGBT. Given its diverse and deeply entrenched causes, homelessness is hard to address. 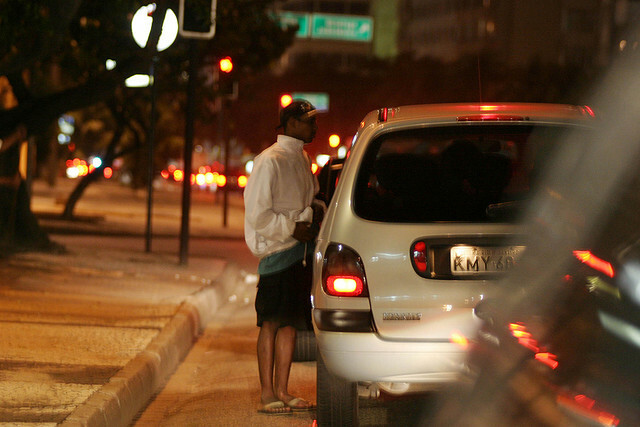 In the past, some purported solutions have been more attentive to the desires of privileged members of society than to the homeless; they have reinforced stigma and criminalized vagrancy in an attempt to sweep the problem under the rug. Rather than stigmatizing or criminalizing homeless individuals, a long-term approach to combat homelessness must focus on meeting the needs of the homeless. The most promising solutions are holistic approaches that combine housing, health care, and education, but such programs are limited. Instead, a policy patchwork provides some housing, some healthcare, and some education, but not a comprehensive plan. Homeless Seek Shelter: People who are homeless are often forced to sleep under makeshift shelters that offer little protection from the elements and no security. Nonprofit and government programs exist to provide affordable housing, but face funding problems and a history of failure. In the mid-twentieth century, the government attempted to solve the housing crisis by creating massive housing projects with low rents to support the needs of low-income families, but facilities were decrepit, had little security, and eventually became havens for crime—perpetuating, rather than solving, many of the problems faced by low-income individuals. Many of these projects have been destroyed and government housing authorities have focused more on creating mixed-income affordable housing. Given the large percentage of homeless who suffer from illness, adequate health care is an essential component to ensuring that people stay off of the streets. But in the United States, most people get health insurance through employers, leaving the unemployed with inadequate access to healthcare. Medicaid was established to provide healthcare to the indigent, but Medicaid lacks funding to adequately meet homeless needs. Education can provide homeless children a way out, but practical barriers, such as residency restrictions, medical record verification, and transportation issues, often keep homeless youth out of school. The McKinney-Vento Act attempts to overcome these barriers by mandating equal opportunity for a free public education for homeless students. Alienation refers to the distancing of people from each other, from what is important and meaningful to them, or from themselves. Alienation has been primarily described in two ways: economic alienation, as articulated by Karl Max, or social alienation, as described by Émile Durkheim with his concept of anomie. Both economic and social alienation come to bear in urban environments as cities exacerbate the economic pressures associated with capitalism and create environments in which it is more difficult to attach oneself to a social structure. Social alienation was famously described by French sociologist Émile Durkheim in the late nineteenth century with his concept of anomie. Anomie describes a lack of social norms, or the breakdown of social bonds between an individual and his community ties, resulting in the fragmentation of social identity. Alienation refers to the estrangement, division, or distancing of people from each other, from what is important and meaningful to them, or from their own sense of self. The term “alienation” has a long and storied history within sociology, most famously with Karl Marx’s use of the phrase in the mid-nineteenth century to describe the distancing of a worker from the product of his labors. This article seeks to trace “alienation” through sociological theory by discussing Marx’s use of the term, applying it to social contexts with Emile Durkheim ‘s notion of anomie, and finally discussing alienation in a modern context using technological examples. Marx most clearly articulates his meaning of alienation in Economic and Philosophic Manuscripts (1844) and The German Ideology (1846). Here, Marx contends that alienation is endemic in any system based on capitalism. Marx argues that in emerging systems of capitalist industrial production, workers inevitably lose control of their lives and their selves by not having any control of their work. As a result, workers never become autonomous, self-realized human beings in any significant sense, except in the ways in which the bourgeoisie wants the worker to be realized. Marx refers to this as being alienated from one’s work, and as such one’s self. 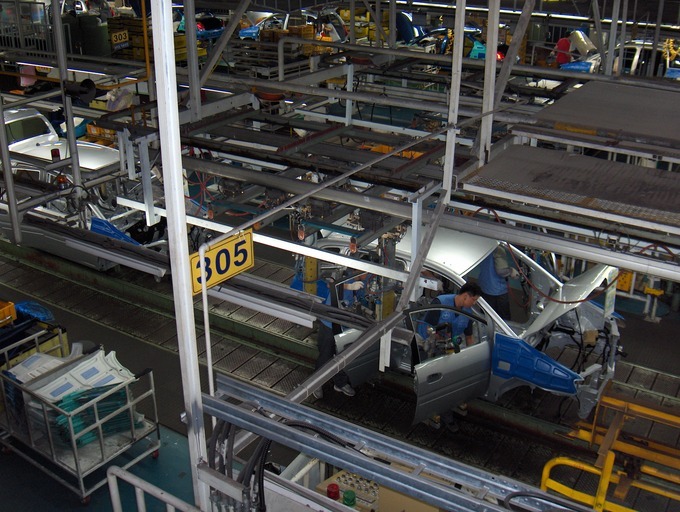 Labor and Alienation: An employee on a car assembly line might feel alienation from the product of his/her labor, as he/she cannot claim credit for the finished product (the car), and perhaps cannot even afford to own the car the assembly line produces. Marx’s criticisms were directed at capitalist structures, not urban areas specifically. However, one cannot completely divorce urbanity and capitalism. Of course, urban areas do not come from capitalism; there have been urban areas throughout history, emerging from many different economic systems. However, capitalist economies do tend to encourage individuals to congregate in urban areas when seeking out industrialized work. Countries’ populations tend to trend more urban the more capitalist the country’s economy. Limitations on resources are exacerbated when there is a large population in a particular area. When there is more stress on limited available resources, one pays more attention to how those resources are distributed, such as by the free market means of capitalism. As such, the issues that arise with the unequal distribution of resources under capitalism’s tenets are exacerbated in urban areas. 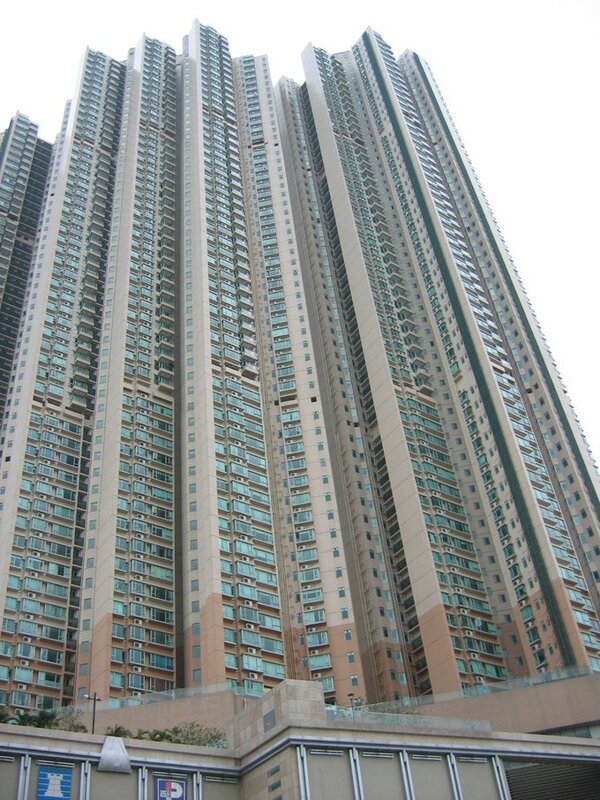 Further, scholars following Marx more directly applied his theories to urban spaces. Late-eighteenth-century German sociologist Georg Simmel, considered to be one of the founders of urban sociology, wrote The Philosophy of Money , describing how relationships are increasingly mediated by money. Simmel’s colleague, Ferdinand Tönnies, authored Gemeinschaft and Gesellschaft (Community and Society ) about the loss of primary relationships, such as familial bonds, in favor of goal-oriented, secondary relationships in capitalist, urban environments. Tönnies’s work shifted from conceiving of alienation in economic terms to thinking of alienation in social terms. Of course, this transition is not so simple; Marx’s work on economic alienation was fundamentally social in nature. However, many of Marx’s predecessors focused on the social consequences of alienation where Marx emphasized the economic causes for alienation. Thus, the reorientation to social alienation did not represent a break in thinking on alienation, just a shift to new directions. Urban Anomie: A resident in a high-rise apartment building that may house hundreds or thousands of people may feel social alienation if they do not engage in face-to-face interactions with neighbors, who remain strangers despite close physical proximity. Social alienation was famously described by French sociologist Émile Durkheim in the late nineteenth century with his concept of anomie. Anomie describes a lack of social norms, or the breakdown of social bonds between an individual and his community ties, resulting in the fragmentation of social identity. According to Durkheim, when one is caught in a normless state in society, one has no parameters to hold on to and, accordingly, cannot situate oneself within that society, and so becomes socially adrift and isolated. Durkeim writes that anomie is common when the surrounding society has undergone significant changes in its economic fortunes, whether for better or for worse, and more generally, when there is a significant discrepancy between the ideological theories and values commonly professed, and what is actually practicable in everyday life. Durkheim was writing at a time of sudden industrialization and mass movement of families from rural areas into urban areas. The sociocultural changes associated with such a move contributed to individuals feeling uncomfortable with their new environments, and feeling as though they could not easily place themselves in a social order. The general principles outlined by Durkheim in his descriptions of anomie can be seen in any social context, including our own. Current debates about social alienation and anomie pop up in many social critiques of an increasingly technological world. Many popular critics and scholars have wondered if the development of a more robustly technological sociality, through mechanisms such as Facebook and multiplayer online gaming sites, can approximate the same positive consequences of more traditional, face-to-face socialization. The term community refers to a group of interacting people, living in some proximity, either in space, time, or relationship. Members of communities share either proximity or interests. In the late nineteenth century, sociologist Ferdinand Tönnies theorized types of social groups by dividing human associations into gemeinschaft (communities) and gesellschaft ( societies ). Geimeinschaft are characterized by community members having shared views of society and close social ties. Gesellschaft are characterized by members having personal interest in being a member of society. Sociologist Émile Durkheim theorized community by understanding social solidarity in terms of mechanical solidarity and organic solidarity. Mechanical solidarity is the sense of community that comes about when members are relatively homogeneous. Organic solidarity comes about when individuals are mutually dependent upon one another. Gemeinschaft und Gesellschaft: Gemeinschaft und Gesellschaft are sociological categories introduced by the German sociologist Ferdinand Tönnies for two normal types of human association. The term community refers to a group of interacting people, living in some proximity, either in space, time, or relationship. A community is typically a social unit that is larger than a single household, comprised of individuals that share values and thus create an environment of social cohesion. Members of a community have things in common, be it a shared geographic location or a shared interest. Increasingly, the notion of community is becoming unhinged from geographic location as individuals form more and more developed webs of society online around shared interests and pursuits. German sociologist Ferdinand Tönnies distinguished between two types of human association: gemeinschaft, or community; and gesellschaft, or society. In his 1887 book, aptly titled Gemeinschaft und Gesellschaft, Tönnies argued that gemeinschaft is perceived to be a tighter and more cohesive social entity, due to the presence of a “unity of will.” He added that family and kinship ties were the perfect expressions of gemeinschaft, but that other shared characteristics, such as living in the same place or believing the same things, could also result in the same sense of community that is the fundamental element of gemeinschaft. Gemeinschaften are broadly characterized by a moderate division of labor, strong personal relationships, strong families, and relatively simple social institutions. Governance does not need to be strong to enforce social norms due to a collective sense of loyalty that individuals feel for community, and an internal alignment and identification with the social norms. Gesellschaft, on the other hand, is a group in which group members are motivated to take part in the group purely for reasons of self-interest. While individuals may come to identify with their societies, the larger association never takes precedence over the individual’s self interest and, as such, these associations lack the same level of shared norms as gemeinschaft. Unlike gemeinschaften, gesellshcaften emphasize secondary relationships rather than familial ties, resulting in an individual feeling less of a bond and less loyalty to society at large. Social cohesion in gesellschaften typically derives more from an elaborate division of labor. Ultimately, Tönnies viewed gemeinschaft and gesellschaft as pure, sociological categories that are not represented in real life. In reality, all associations are a mix of gemeinschaft and gesellschaft. In 1893, French sociologist Émile Durkheim incorporated the ideas of gemeinschaft and gesellschaft, particularly their influences on their respective divisions of labor, into his theory of social solidarity, published as The Division of Labor in Society. In this work, Durkheim establishes two types of social communities that correlate with types of society. Mechanical solidarity is a type of community in which social cohesion comes from the homogeneity of individuals. People feel connected, as though they are a part of a community, because they are similar. Mechanical solidarity speaks to the moderate division of labor and close resemblance in social norms exhibited by Tönnies’s gemeinschaft. Durkheim distinguished mechanical solidarity from organic solidarity, or a sense of community developed by the sense of interdependence that arises from specialization of work and complementary skills and interests between people. This mirrors Tönnies’s gesellchaft. Industrialized societies build their senses of community by making people dependent upon one another due to highly specialized divisions of labor. For example, operating under a form of mechanical solidarity, Tina feels like she and Amy belong to the same community because they are both hunters. Under the parameters of organic solidarity, Tina and Amy feel like they belong to the same community because they perform different tasks and help one another. Tina hunts and Amy does not know how, but Amy knows how to build a house and Tina does not. Tina and Amy help each other, each providing a needed service for the other, and thus create a sense of social solidarity—a sense of community.